We know that a lot of work goes into preparing for a conference like TechChill 2019. Meetings to book, people to meet, stage content to choose from, side-events not to miss. To make it easier for you, we have prepared this handy guide to help you make the most out of your time. Check the relevant basics to help you hit the ground running from Day 1. Early badge claim: On Tuesday, February 19 and Wednesday, February 20 from 8:00 till 21:00 at Caffeine LV (Address: Terbatas 33, Riga). At TechChill 2019 venue – VEF Culture palace: On the conference days (February 21-22) from 09:00. Bring your ID along. And remember to keep your wristband and badges on you throughout the two days. 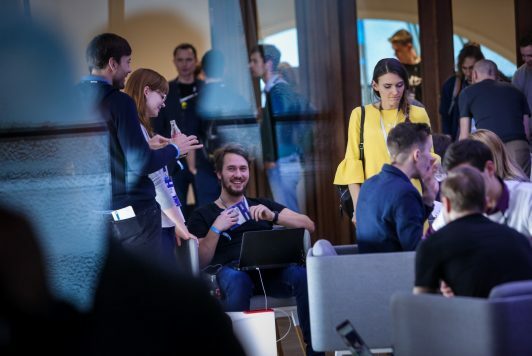 One of the best things about TechChill 2019 week is the people you get to meet, here are three ways you can power up your networking. Register for the networking app Talque to connect with other attendees even before TechChill 2019. Join the Speed Networking sessions at TWINO Studio on Day 1 and Day 2. No prior registration required. Check out and book the side events and don’t skip the legendary afterparties – The Re-launch of MAGNETIC LATVIA | LABS OF LATVIA Portal On Day 1 & The Official Afterparty on the evening of Day 2. Browse the stage agenda and add the presentations, panel discussion and fireside chats that you’re interested into your Talque calendar. Book a spot at the roundtable discussions taking place on February 21 at TWINO Studio and Tilde Square. The agenda this year is divided into two stages: the Superhero stage and LMT Founder Stage. The Superhero Stage on the first floor of VEF Culture Palace will offer the floor to founders, ecosystem builders, policymakers and opinion leaders building for impact and driving innovation. For a deep dive into the startup life head upstairs to LMT Founder Stage on the third floor, for an opportunity to hear the Fifty Founders Battle pitches and stay for the industry-specific panel discussions. On Day Two, the stage will offer valuable content on the ins and outs of building a company for the long term, useful for all startup founders and entrepreneurs. If you want to catch up on the latest innovations in the region make sure to stop by the Business Expo area and don’t miss the Startup Lounge for a chance to see what the hottest startups are working on. To find out all about Baltic startups – inspirational interviews with startup founders and experts, compare cost of living in Baltics and few interesting facts don’t miss the latest Baltic Startup Mag 2019 powered by Accenture and Magnetic Latvia at Accenture Library (Staircase Lounge). We have prepared several locations where you can have meetings and catch up on work if needed. If it is work you need to catch up on, make your way to the Techhub pop-up co-working provided by AJ Produkti. 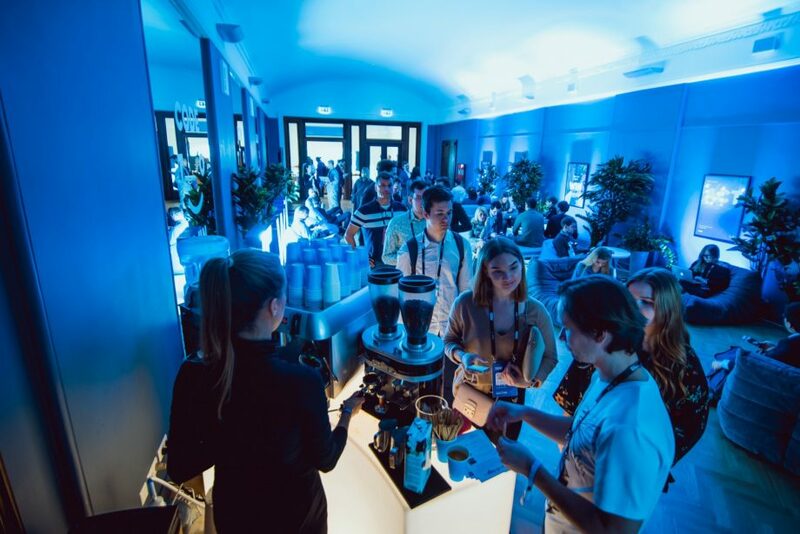 Spending a day or two at TechChill is a high energy activity, to unwind and have some impromptu meetings head over to Pop-up Café by Swedbank or to TWINO Studio or Tilde Square on Day 2. Meanwhile, the Accenture Library in the staircase lounge is the place to be if you want to relax, charge your phone and get a chance to read the new edition of the Baltic Startup Mag. You’re invited to enjoy a free coffee provided by Swedbank at one of the coffee stands around the venue and for something a little more extra make sure to stop by the Pop-up Café by Swedbank (at the Business Expo on the 2nd floor). It’s not only the coffee that’s on offer. There will also be water refilling points available alongside the coffee stands. Remember to bring your own water bottle along for your own convenience. Bringing your kids to TechChill? No problem! Future Founders Playground invites parents to bring their 0-12-year-old kids along. The Playground will offer workshops on coding, virtual reality, robots and more for the kids aged 6-10, as well as a playroom and rest area for parents with babies and toddlers. Keep warm during TechChill season, with the official TechChill 2019 merch. Visit the store at the staircase between the second and third floors. For other practicalities, such as the location of the venue, transportation options and hotel deals check out the practical information page. Haven’t gotten your pass to TechChill yet? No problem. Get your two-day pass or the one-day Friday Frinight pass here.